Disruptive innovator in detergent industry - What's new? Our Founder Mr. Yedier and Head Mechanical Engineer Mr. Damar has attended to a 3-day proposal writing camp in Istanbul funded by TÜBİTAK. Evaluation score of recent submitted proposal was ranked No.1 among all Turkish companies. Knowing that an incremental increase in overall score will allow our project to be funded motivates us to work harder day and night. Hope to be funded in our next submission which due is 18th of October 2017. Our very first product eeezy wash Laundry Detergent is almost ready to be launched. This first product performed better in performance tests (executed by independent test institutions) compared to best selling brands in the market. It's scent lasts very long and smells just great! and it still costs 25% less than big brands. What else would you want from a laundry detergent! We were in Zurich Switzerland to check the first printed rolls of packaging. So far so good! Keep following us. The World's biggest grant funding program's, Horizon 2020 SME Instrument, January 2017 submissions has ended. 1.534 proposals has been submitted from 37 different countries. Spain, Italy and UK were once again the top 3 Countries were highest number of proposals were submitted. We are one of the 15 applicants from Turkey. We wish all applicants success but unfortunately only 3% to 4% of them will succeed. This is "The Voice" contest of SME's. It is extremely competitive but enthusiastic too. Amazon Go is a new kind of store with no checkout required. Amazon created the world’s most advanced shopping technology so visitors does not have to wait in line. With Just Walk Out Shopping experience, customers simply use the Amazon Go app to enter the store, take the products they want, and just leave the store. The sprit behind this innovative concept was "what if we could create a shopping experience with no lines and no checkout?" Could Amazon push the boundaries of computer vision and machine learning to create a store where customers could simply take what they want and go? We will see in near future if this innovative store concept will be rewarded by customers or not. We will keep a close eye on this project as machine and computer based solutions in retailing industry is closely related with our innovation project too and can bring a snergy to all parties involved. eeezy wash is soon coming in the market. Our aim is to develop a high performing laundry detergent with 20% price advantage than rival products in the market. 19 Cent Euro is target retail price per load in German market. We have been working on this project for almost 2 years now and we are almost ready to a pilot launch in Germany, Russia and Turkey. We paralelly work hard with marketing works as well as formulation developments as we believe that best innovation doesn't mean anything if it is not properly deployed. Our first packaging mock-up is ready and stands on our table that excites us to touch and watch. We can't wait to see it in the market in February 2017. European Commission's Horizon2020 program is the world's biggest grant funding program. We are happy to be a part of it by being a grante of SME Instrument Phase1. We were at the SME Instrument Investment Forum, where more than 400 talented people gathered for a two day event in Brussels, the capital of Europe. Those events are the perfect place to meet with other great Startups, projects and also investors whom are looking for brilliant ideas to invest into. 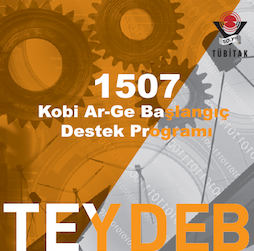 TEYDEB 1507 is national R&D grant funding programe of TUBITAK (The Scientific and Technological Research Council of Turkey). We applied to this programe in June 2016. We have pitched the project to 2 academic evaluators in July 2016. Our project received high level of interest and appreciation from both experts. We expect to be funded on this programe which will allow us to go further developments in our promising project. ClimateLaunchpad is the world’s largest cleantech business idea competition and we are proud to be a competitor of competition 2016. 2 members of our team attended to the bootcamp that was held in Istanbul, Turkey on 25th & 26th of June 2016. Now it is time to get prepared for the competition that will be held on 10th of August 2016 where 3 competitors will get the ticket to European finals. 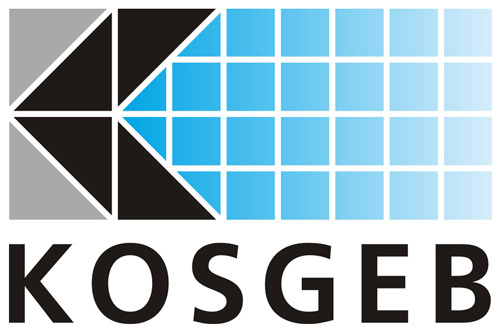 (SME Development Organization of Turkey). This incentive is specially targeting projects of Turkish SME's to achieve their goals and make their innovation ideas come into our everyday life. The fund will help us to hire new stuff and invest in R&D labarotary machinary and equipment. Thank you all for your trust and support. 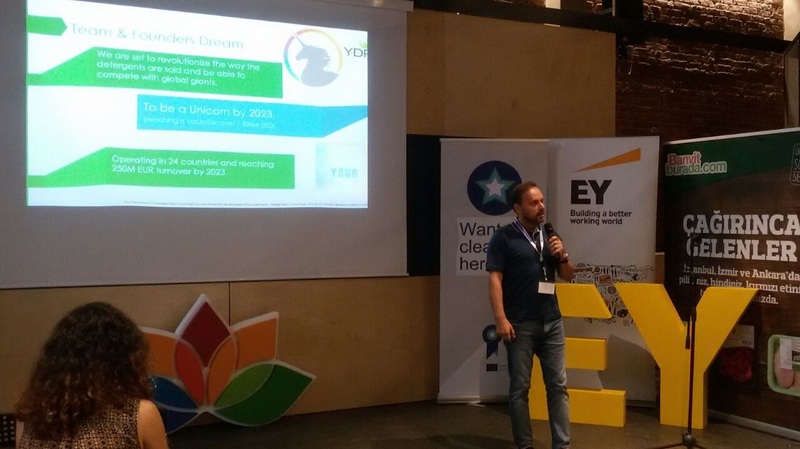 We love to share news from our Startup YDR and interesting topics of world of innovation. © COPYRIGHT 2015. ALL RIGHTS RESERVED TO YDR TECHNOLOGY DEVELOPMENT.